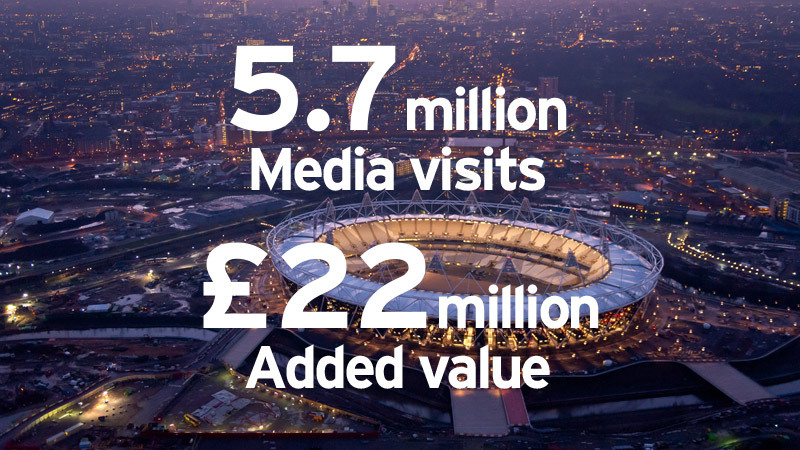 Starting back in 2012 we teamed up with Yahoo and Visit Britain to create an original digital marketing campaign for This is Great Britain as part of their ambitious aim to achieve 4 million additional visitors to Great Britain, generating an additional £2 billion to the British economy. We initially explored several different ways to tell the story of a great trip to Britain, deciding on the strongest to deliver in the ads. The idea was to introduce something iconic, followed by a surprise or personal message. 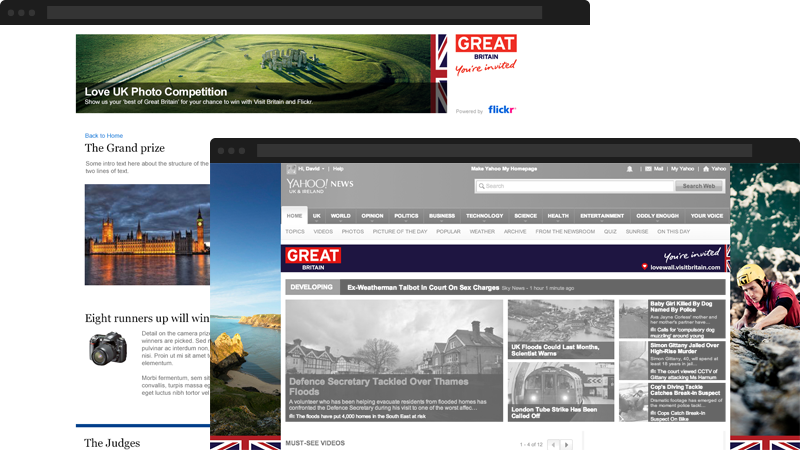 We wanted to make sure we created a bold template for the ads that would be able to answer the areas of focus, complement the GB brand guidelines, while being efficient for creating a huge amount of ads for global market localisation. Strong imagery and inventive copywriting would be a key part of the storytelling, which we localised by getting to grips with what content themes each market would react best to. After a few iterations to simplify we had our versatile template, allowing us to storyboard ideas and move into build easily. We designed and built many campaigns throughout the year, with staggering reach and results. Campaigns included simple banner ads, interactive and video banner ads, sponsored content, pre-roll videos and a Flickr competition site. 2013 and 2014 was stripped back a little in terms of budget, but we continued to create ads with a wide range of new themes, building on our previous work. The shift of focus was about educating the audience of Britain’s green and pleasant land and hidden attractions. It’s been a GREAT three year partnership, surpassing targets set by Visit Britain. A wealth of knowledge also collected creating ads for markets all over the world.